In charge of creating incredible dishes at the family-run restaurant, Gostilna pri Lojzetu is the owner and multiple award-winning head chef Tomaž Kavčič. A la card restaurant, wonderful view of vineyards, over 600 different wines, ideal also for wedding parties, concerts and other private events. Gostilna pri Lojzetu can also be hired out for caterings, with some of the past catering jobs being for weddings on desolate islands, parties deep in the forest, galas, or more intimate events, just for friends and family. Chef Tomaž Kavčič is the pioneer of slow-food cuisine in Slovenia, the fourth generation of the restaurant-owning family that runs Pri Lojzetu restaurant, situated in the castle Zemono from 17th century, Vipavska valley. He is also the 1st President of JRE Slovenia, Member of honour who cooked in Bruxelles for all 27 Prime Ministers of the European Union. He is the first ambassador of Mercedes-Benz in Slovenia, honorary consul of Republic Serbia. He won the Slovenia JRE Innovation Award 2017/18 unique style: innovative ways and techniques of cooking, but without forgetting the tradition and basic seasonal fresh quality ingredients of the region. Tomaž is known for his clean flavors and personal care for the guests. Vipavska valley is the valley of vineyards and orchardsSun-spoilt and windswept, the valley also houses an impressive amount of artworks. The churches and monasteries (in Vipavski Križ) scattered across the valley feature a plethora of religious art pieces. The valley with its undulating countryside, steep crags and tall plateaus offers hiking trails of various difficulty. Any time of the year, the Vipava Valley features a cycling trail worth taking. 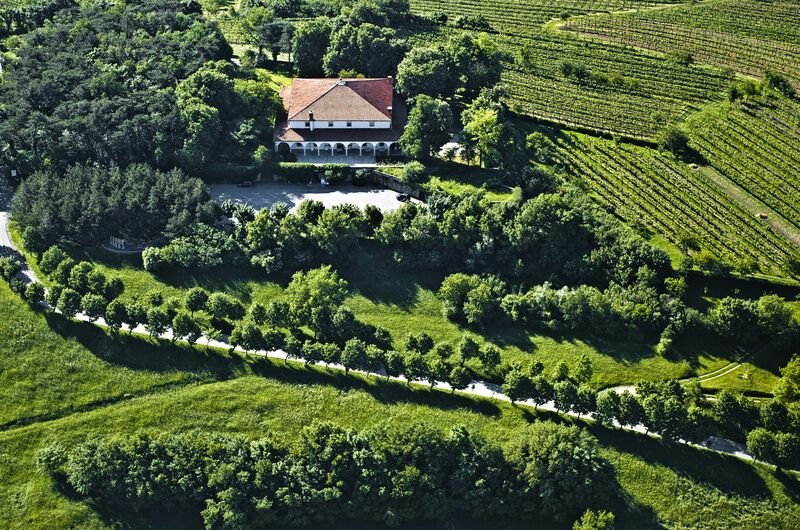 Whoever has flown over the Vipava Valley is sure to return again and again. The valley and the sloping hills surrounding it form a true paradise for paragliders and hang-gliders, while aircraft aficionados will find a warm welcome at the Ajdovščina sport airport. The steep walls surrounding the Vipava Valley and the gorges cut out by streams and rivers have provided some incredible rock faces that attract climbers from both far and wide. Once they reach the top climbers are rewarded with stunning views of the majestic Adriatic Sea and towering Alpine peaks.The crystal clear rivers and picturesque waterfronts are attractive, providing ample opportunity for anglers to enjoy the beautiful outdoors.